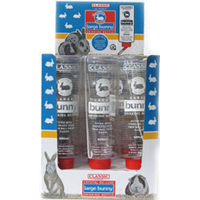 We stock a range of high quality Mason & Cash Bowls and Classic Drinking Bottles that are suitable for Bunny Rabbits, Guinea Pigs and Hamsters in various sizes. The pottery bowls are made from heavy duty, chip resistant earthenware that's easy to clean, hardwearing, dishwasher safe and resistant to absorbing food odour making them ideal for small animals. Unlike plastic or stainless steel bowls that are easy to tip over, the mason cash bowls are heavy relative to size making it much harder for your rabbit, guinea pig or hamster to tip over or move around their cage or hutch, keeping the contents safely inside the bowl. 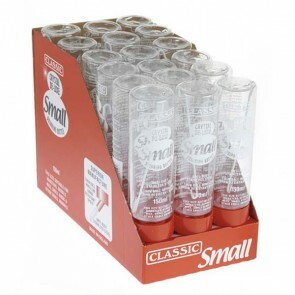 The drinking bottles we sell are made from high quality, clear plastic with a helpful printed measuring gauge on the side of them to let you know when to refill the water bottle and a fixing wire to attach the bottle to your cage or hutch, that are fitted with a stainless steel twin ball spout to prevent leaks which is gnaw resistant and available in various sizes including 1.1 litres, 600ml and 150ml suitable for mice, hamsters, bunny rabbits, guinea pigs, birds and parrots. Drinking bottles & bowls: 5 stars out of 5 based on 1 user reviews.